I am super busy today! I have a very long to do list and probably will not be on the computer much. 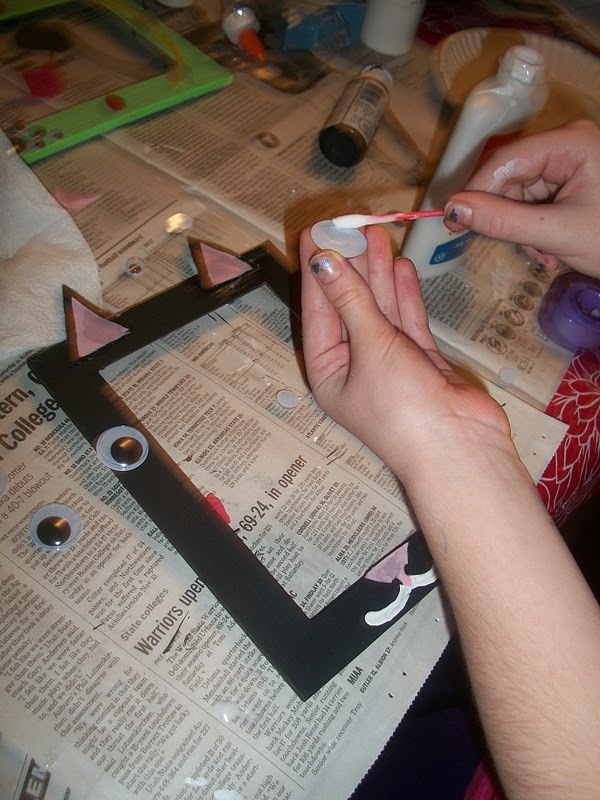 I need to finish my daugther's fox costume. I need to run to the store to find a black sweatshirt for my son's costume. I need to clean and decorate the entryway for the trick or treaters. I need to finish my coustume, and the list goes on and on. 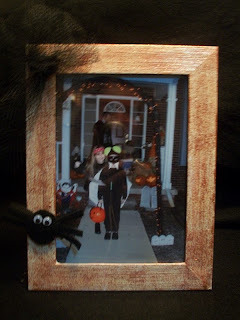 Today I am sharing how we made some fun Halloween themed frames to highlight our favorite Halloween pictures from years past. 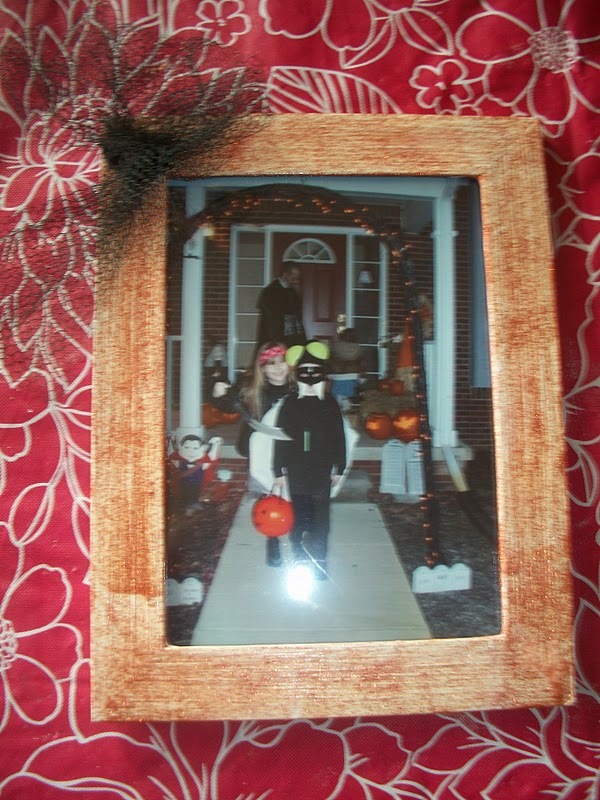 I have so many Halloween pictures that I absolutely love, so I knew I needed some fun frames to display them in. Since I didnt have any Halloween frames, I decided to make some. I had planned on going a slightly different way, when I caught Kara playing with the eyeballs on the alien frame. When she showed me her idea, I liked it even better than mine. 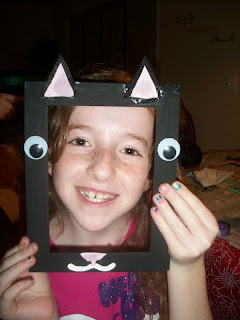 That is when I realized this project would be just fun for kids to make as adults. I found these plain brown frames at the Dollar Tree. 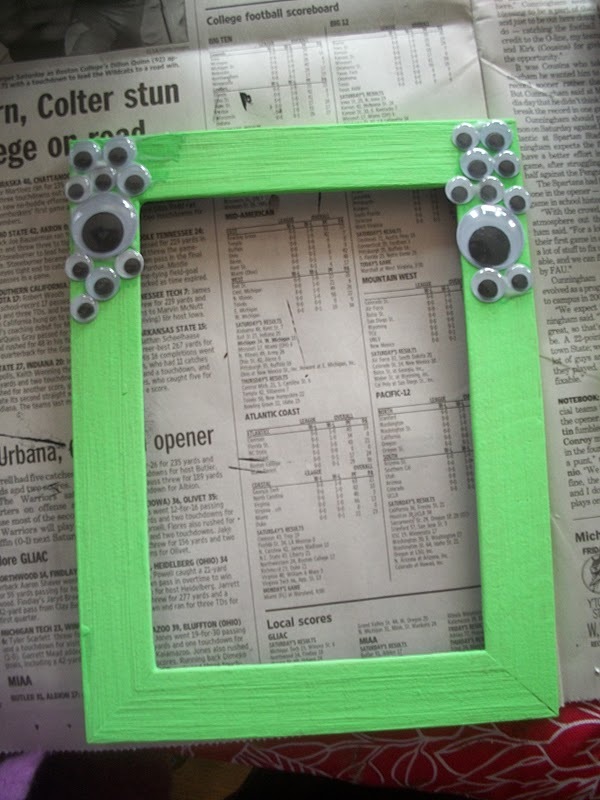 I painted one frame black, one neon green, and one white. 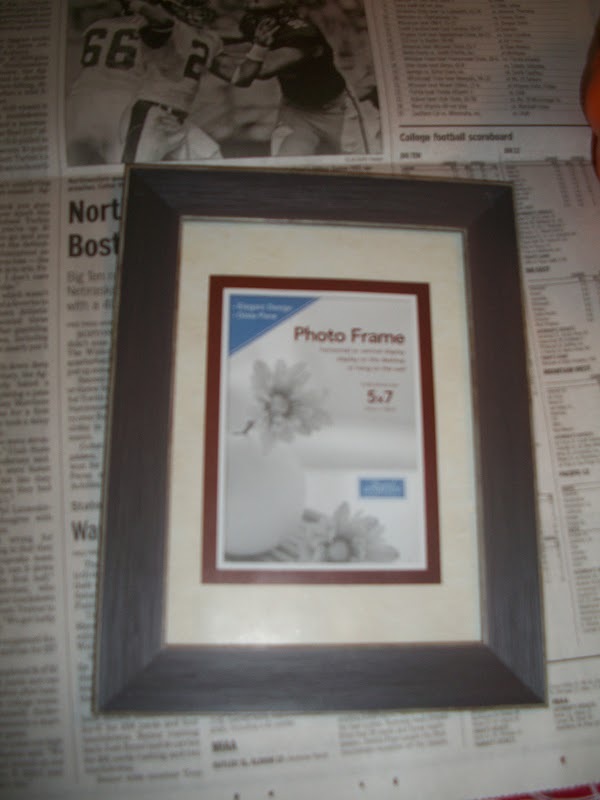 I then saw Michaels has orange glitter paint, and decided to change the white frame to an orange glitter frame. I added google eyes from the dollar store to the top two corners. I left it on the table to dry, while I did other things. When I came back to the table, Kara showed me that she had added more eyes to the top of the frame. She had also placed a yellow pipe cleaner on the frame for a smile and cut two circles out of red felt for the cheeks. 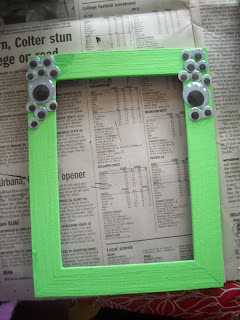 I had already attached a neon green pipe cleaner to the backside of the frame with a piece of scotch tape. She also told me that she wanted to make her own cat frame because she had a really good idea. 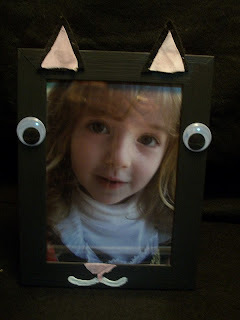 Since the cat frame was for her picture, I let her roll with it. I might add some black whiskers, but I am currently out of black pipe cleaners. This picture of Kara is one of my absolute favorites. She was 4 at the time, and dressed as Snow White. I wasn't really sure what to do with the orange glitter frame. I thought I would drape black netting across the top, but it didnt look quite right. I then decided to make it into a bow on the upper corner. 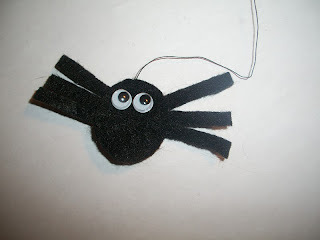 It reminded me of a spider web, so I then added a spider I made from black felt and google eyes. I made a simple spider shape and stitched it together with black thread. I then hung it from the netting on the frame. I like it with the hanging spider, so much better. I might even add a second one in the upper right hand corner. I love this picture for many reasons. 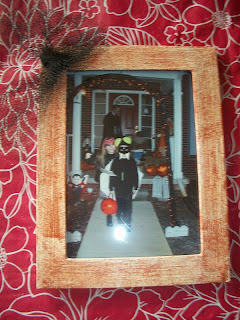 Kristina, my oldest, was a girl pirate and she had captured her brother the giant fly. (yes he has a thing for bugs and critters, last year he was a flying chameleon) The kids were so full of joy, and we also got to see the house all decorated for Halloween in the background. To this day, that year is one of my favorite Halloweens. 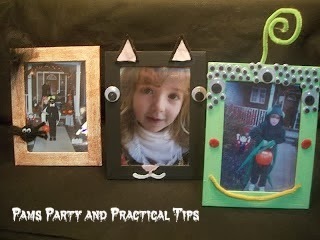 I hope this craft will inspire you on how you can capture you favorite Halloween memories. so cute and such a good idea for something for the kids to do... 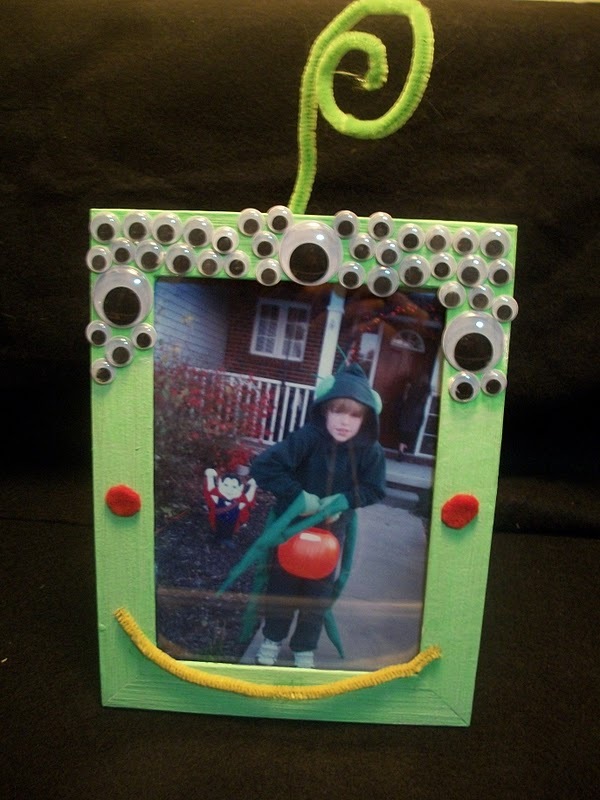 I love crafts that I can save from year to year. o my goodness these are so dang cute!!! and would be such a fun project!!! What a neat idea! I'd like to invite you to link to my weekly Things I've Done Thursday party that goes until tomorrow at noon EST. I think my readers would love your stuff! 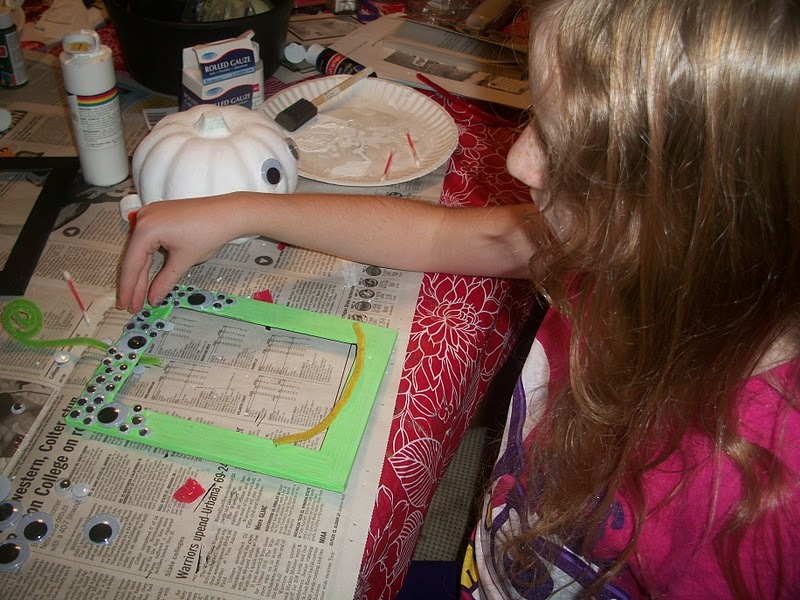 What a fun way to get the kids involved in decorating for the holiday.